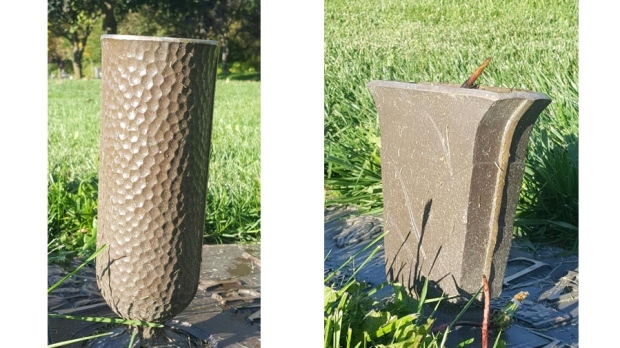 Two Greater Toronto Area police forces have launched investigations into the theft of hundreds of bronze vases from local cemeteries. The thefts have occurred at cemeteries in both Mississauga and Whitby. According to Peel Regional Police, a total of 269 of the vases were stolen from Mount Peace Cemetery, St. Mary’s Cemetery and Assumption Cemetery in Mississauga between April 7 and Sept. 24 of this year. Police say the vases that were stolen are valued at approximately $67,250. The thefts in Whitby, meanwhile, have taken place at the Mount Lawn Cemetery on Garrard Road. Durham Regional Police say that a suspect or suspects made off with about 200 bronze vases between Oct. 3 and Oct. 6. Neither police force has released any information about potential suspects at this time.